Why It Makes The List: If you have to ask yourself this question, then the Ultimate Driving Machine is not for you. It featured a de-tuned version of the BMW M1's 3.5L inline-six capable of producing 286 horsepower. 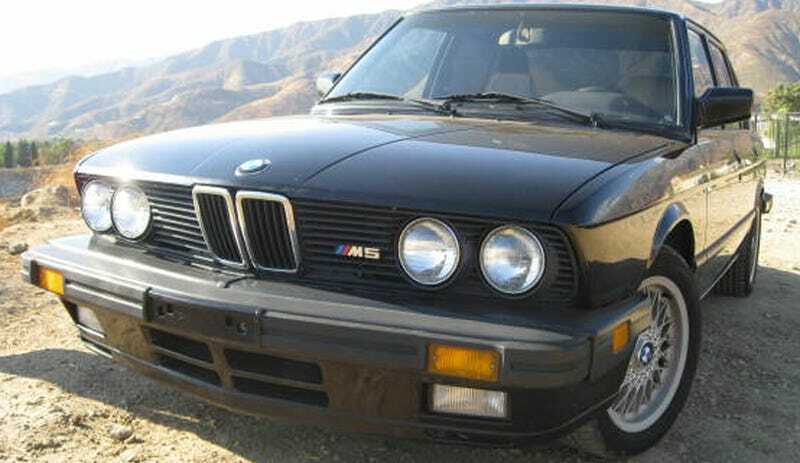 The E28 M5 was sold in North America as a 1988 model only and it's said that only 1,244 units were ever sold, making this one of the rarest M cars in the U.S.
Nice reliable example of an original e28 M5. 133,000 miles. Runs & drives great, daily driver. Always garaged and covered. Normal wear on paint including minor scratches. Interior is in good condition, front seats re-covered, rear seat bottoms worn. Maintenance records available, thousands in receipts in new parts including recent comb through of entire car. Dinan chip included but is not currently installed. No accidents, no rust, tires are close to new. I am only selling because I need cash for my business however I will consider trades.